The employer is responsible for ensuring that all the employees are adequately paid for their work in the firm. 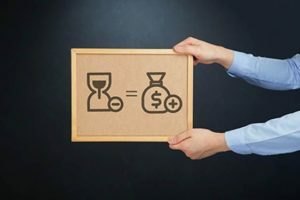 The payments that these staff members receive are meant to be complete, in the sense that, they should reflect the employee’s labor in the firm for both normal work hours and overtime hours based on the agreed payment rate. If you have an employer who is denying you of your due payment, or you know of anyone who has suffered from the hands of a cunning supervisor or boss, then do well to speak to an attorney as soon as possible in order to ensure that they are brought to book for their less-than-commendable actions. Your attorney should be one is both certified and highly acquainted with cases involving such claims, as this will be needful in court. Rawa Law Group is a five-star law firm here in California; our services are tailored with exotic care and finesse in order to guarantee you victory via negotiations or in court. One great fact about our service is the fact that we are relentless, we offer a consistent, unyielding flow of advocacy with our full resources deployed to bring the much-needed victory. The reality is, every case we take on is very personal to us, as we desire to not only be the answer to your prayers but to keep up the good work we have been on. Do reach out to us today via the address below.